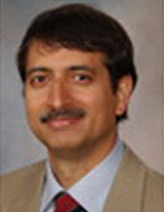 A graduate of the College of Science, Srinagar, India, Iftikhar J. Kullo, M.D., completed training in internal medicine and cardiology at Mayo Clinic in Rochester, Minn., and joined the faculty in 1999. Dr. Kullo is a consultant in the Division of Cardiovascular Diseases and holds the academic rank of professor of medicine in the College of Medicine, Mayo Clinic. Dr. Kullo is also director of theEarly Atherosclerosis Clinic at Mayo Clinic.